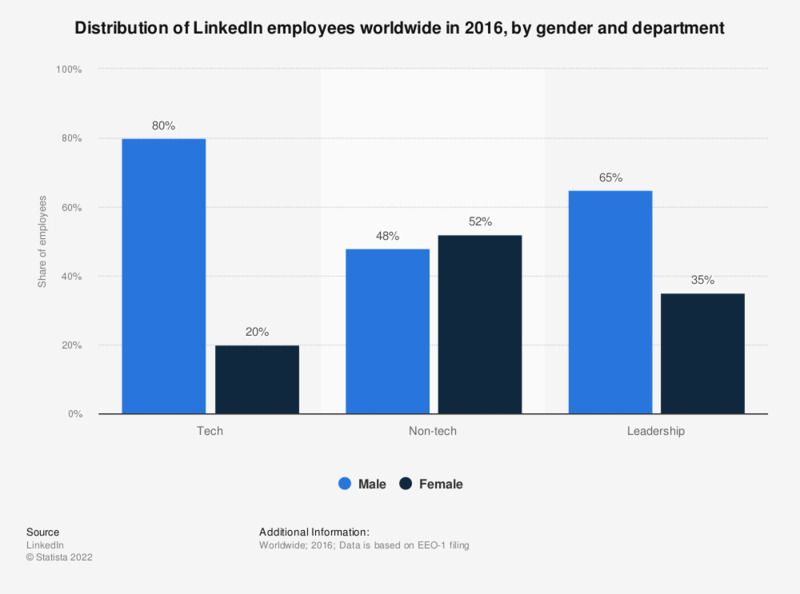 This statistic illustrates the distribution of LinkedIn employees worldwide in 2016, sorted by gender and department. That year, 35 percent of global LinkedIn leadership employees were female. The majority of employees were male. In December 2016, Microsoft finalized its $26 billion acquisition of LinkedIn. LinkedIn results are now part of Microsoft's Product Revenue and Service and Other Revenue segment. Everything On "LinkedIn" in One Document: Edited and Divided into Handy Chapters. Including Detailed References. During which phase of the hiring process do you look at social networking sites to screen prospective employees?